A vision without traction is merely a hallucination. Cultivating and creating a successful startup is more than just offering a product or service, it’s a consistent effort of building, measuring, and learning. However, one of the most important factors to venture capitalists (VCs) is traction and measuring the potential success of your product. In regard to measuring traction for your startup, below is a list of what potential investors will value when looking for investments. Let’s begin off with an MVP (Minimum Viable Product). 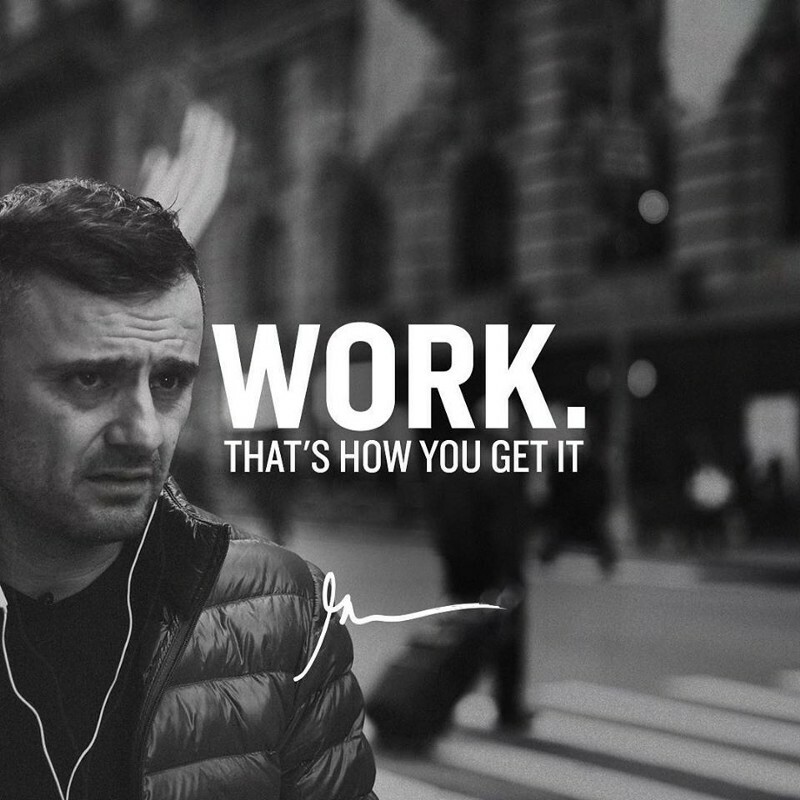 This is not a beta or prototype you are launching it’s rather a product or service you make to see if there is a market for it. You are trying to learn what your users want and don’t want and minimize the amount of time you spend on creating features or aspects of the product which is not valuable. Believe it or not, many big companies we know today originated from an MVP. A good example to represent this is cloud database company called “DropBox.” Their MVP product was essentially a video which showed what they wanted to do and a signup form for people who were interested in the idea and wanted to be early adopters. Almost overnight, there were over 75,000 signups all with only a 3-minute video of Dropbox and not even an actual product of the software. If you are very early in your startup, make sure there is indeed a market for your product or service using an MVP. This is a valuable aspect to present to investors if you haven’t created real customer data points yet. Below is a list of more MVP’s which you may find very interesting and see how the actual product which has derived from this has changed. Co-founders of Airbnb needed help paying their rent in San Francisco. They also noticed lots of business conferences around; hotels were very expensive in their area. They wondered if strangers would pay to live in someone else’s house for a night. They provided all the facilities and tested out their product assumption using the interface you see above. Creating a website like this especially in the type of technology we have right now would cost you couple hundred dollars max.. If you have no idea about coding then check out ShareTribe, it is great place to create a peer to peer marketplace website and they take of everything for you. You get to focus on building your customer base and they take care of everything that’s technical. Base plans start at $100 a month and this is definitely a great way to see your your product has a market fit without spending tens of thousands of dollars into something that hasn’t been validated yet. 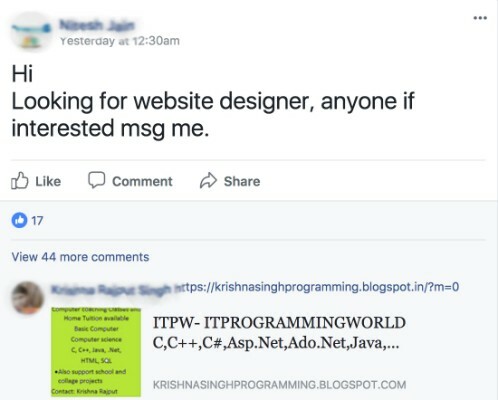 In addition to this, hiring university students in computer science is also a great cheap alternative as well. They first started off creating “the point” which was a platform for bringing people together for fundraising or boycotting a retailer. This platform failed and from this they created Groupon. They used a customized wordpress blog and didn’t invest any time in developing a coupon system or designing a new website. They just took whatever resources they had and made a MVP out of it. It definitely was not scalable but it did answer Groupon’s questions for them. To recreate this type of MVP a simple subscription to “WordPress” will work as well. Relaying information on your own customizable wordpress website is great and more importantly relatively cheap compared to investing in a dedicated server and a team maintaining the site. What Buffer did for their MVP was create a landing page where they showed what it would do for potential users; if you were interested, you could sign up as a paying customer. If you still weren’t sure as to why you wouldn’t join, it you could still sign up for their email alerts and executives would reach out to to find out why you weren’t convinced to use the platform. Hundreds of people responded and the demand for Buffer was evident. This strategy helped give valuable feedback and find out what users really wanted out of the service. In today’s day and age creating a landing page to show potential users is very simple. The only real aspect of what is being invested is essentially your time to review and analyse what users are saying about your potential product or service. You can use WordPress for $10–33 dollars a month and creating the static landing page will take a few days. The founder began off by posting photos from the local shoe store and uploaded them to this website. He then checked if anyone was interested and if there was he would go to the store and buy the shoe and then sell it to the customer. Doing this overtime he found out there was indeed a need for this type of service and answered his question if his product would be accepted into the market. Only after that, he invested into infrastructure and inventory. Reselling is becoming very common in the 21st century and online commerce is almost everywhere around the world. To recreate this type of MVP it is very cheap, quick and easy. For example you can get a subscription on “Wix” for $5–10 dollars a month and use a premade template to upload photos onto your site. This process can take as little as a day. There are multiple website builders such as Wix, Shopify and SquareSpace and all with free and paid options as suited to your individual needs. It was first used as an internal messaging system for Odeo employees and it picked up so much that the monthly bill for the messaging system went into the hundreds of dollars. They noticed the demand and prepared to take Twitter large scale and release Twitter publicly. Creating an MVP like this is more expensive than the other options available. Creating a whole messaging system for internal use requires some capital equipment which many startups may not be able to afford. However if you do have a reasonable number of assets and capital equipment then you should consider creating something for a specific group of people then expanding once you see the validation. Another way to overcome this issue is getting a developer on your team who can use today’s available tools to create a messaging system more efficiently and cheaply. Zynga uses landing pages and adword MVP tests to direct available resources into developing projects. What this means is that they launch ads for games in existing games and if the user clicks on it and seems interested in the new game, then they would continue developing the new game and put more attention towards it. Farmville, Yoville, etc. are all games that were developed this way and based of users interests. This type of MVP is essentially placing ads whiles users are playing games or browsing through Zynga. Sending ads to your own users are virtually free but placing ads through the Google Search Engine costs about $0.58 per CPC. Creating and launching your own ads take a few days. This MVP takes 3–4 months to build. Pebble actually was actually able to get money from investors; however, over time, the money ran out and they needed funding to showcase their research in E Ink displays in watches. They really wanted to find out if people would be interested in a smartwatch that had an exceptional battery and could connect to your phone. They started a kickstarter which had a video explainer describing the product and reached their goal of $100,000 in 2 hours. At the end of the fundraising they had raised 10.2 million for the project and then finally they went to manufacture the product after the evident market demand. Kickstarter is a great way to really see if your product has a market fit without starting to mass produce the product. It’s free to launch on Kickstarter but there is one catch. You need to get all the funding you submitted for, if not you lose the funding you raised. In addition to this there will be a certain percentage kickstarter will take away from each successful fundraising effort. Furthermore, you need to have pictures and a live demonstration of your product in order for you to be valid for kickstarter. This whole process will take a number of days and it will be for. More specifically the Kickstarter team spends 30 hours reviewing your submission and will reply back in 2–3 business days. Spotify has a 4 step cycle when it comes to creating and testing out its MVP. “Think it, Build It, Ship it, Tweak it.” Spotify is made up of many small teams and they have many ideas, the way they get this idea validated is by first creating the MVP based off their idea. Then they release it to users very slowly and take in a mass amount of reviews from their MVP. After, they tweak the MVP based off the reviews and users’ thoughts. They used this very process to scale from bottom up. While Spotify’s MVP product was very expensive because of its strong software background, Spotify was still able to minimize costs by creating a complete roadmap of early and cheap prototypes. They only completely launched when baseline of quantity was met. The next sign of traction I would like to focus upon is customer acquisition. How are you going to reach out to customers? What’s the cheapest way to reach them? How much customer growth have you had? Different traction channels works for a variety of startups and can cause a chain of explosive growth for your venture. A few examples of channels for traction is through targeting blogs and search engine marketing. A) Targeting blogs is one of the most effective ways to reach out to your first wave of customers and create your presence. The first step is to find a blog which is in the similar field as your product or service and ensure there are an appropriate number of followers on that blog suited to your needs. Secondly, reach out and offer your product or service to its readership to develop and build traction. Popular startups such as Code Academy , Mint and Reddit all got their start by targeting blogs. Mint actually gained initial traction by reaching out to mid sized blogs and ensured the bloggers were a good fit for their service. The famous bloggers used to exemplify the service and showcase it while Mint gave them VIP service in return through the service. This essentially grew the customer database. B) Another channel to gain traction is through “Search Engine Marketing.” This term refers to placing ads on search engines such as Google and Bing and because SEO is so broad it will be applicable to any startup. This whole SEM process works by finding high-potential keywords which leads to your website or business online. The page that a potential customer lands on is called a landing page, and this is one the most important pages on your website. Key SEM metrics to reflect upon are CTR and the CPC. CTR (Click-Through Rate) is the percentage of people who clicked on your ads compared to the amount of people who actually saw your ads. The CPC (Cost per Click) on the other hand is the amount it costs to buy a click on an advertisement. What this means is how much are you willing to pay to get a potential customer on your website. To learn more about examples of traction feel free to head on over to the article written by us on how letters of intent can increase your startup’s funding success. Have you ever someone say, “Well, you should have asked.” The lesson learned that those who don’t ask, don’t get. This article will tell you about top reservations why people don’t ask for things, what business opportunities can be missed, and how to structure the Art of the Ask! The Art of the Ask could be anything such as inquiring questions to which you don’t know the answers, sharing where your company is really at and what you are looking for, asking for help, etc..The ask isn’t always a favour but it can make people feel that way. For startups that means there are many missed opportunities over their journey because they didn’t ask; they know they could have asked; ultimately, they didn’t get the opportunity. Sometimes, these missed opportunities mean they missed meeting an investor, meeting a potential customer or learning about a new resource that would make their business more productive. When you are running a lean startup, your main advantage is speed. Startups are all about catching opportunities at an accelerated speed! As they grow, new opportunities arise every day and it is either a gain or lost. So then why are people so afraid of asking for things? Here are some top reasons why people don’t ask and how to master those reservations. As people, we want to be liked. So it is natural to not want to bother others. This is also a fear that the other person will say no. A simple and collaborative way to ask for help with something is to prepare to offer something in return. When we offer our expertise, services, etc., we get the opportunity to meet the needs of others. In turn, it helps limit the fear of bothering or annoying others. For example, when our company was going through UX testing, I wanted to find a way to repay a user for going out of his way to meet us and give feedback. I found out that he was hosting an event so I knew how I could help. I lead a group of entrepreneurs within the Internations.org organization and I could help him promote his event in our community. So my promotion efforts filled up his remaining seats at his event. Sometimes an ask is indirect such as a description of how the business is going and what you need. When you express your need, you may be surprised how often others try to help. Because our clientele are startups, whenever I ask someone how business is going, the first automatic answer is “things are going really well.” This is because we are so used to saying it and so used to feeling the need to protect our “baby” (which in this case is the business). People tend to not let others in because they are afraid of any potential criticism. An easy way to perform the “tell others what your need is” would be to structure your sentence this way, “Things are going well. We just hired a new developer and we are just starting to look for funding.” It gives a realistic sense of how things are going and gives a peek about what you might need. When performing this one, just remember to keep an open mind. Don’t expect that others will suddenly know an investor to refer you to. However, when you keep an open mind, you may find opportunity in the unlikeliest of places. When we don’t ask for help or insights from others, we will be sure to stay on the same path. At the time same, we will also be sure to protect our egos. When people start companies, the market does not care about your ego; therefore, living in blissful oblivion will not help your startup in the long run. Startups need to ask, learn, and reiterate. It all starts with the ask. When we were doing our market research when we first started, I met an entrepreneur who told me that his biggest fear was to be copied by competitors. He didn’t show me his product. It was ok. He told me that he was so afraid of being copied that he spent 3 years building it and never talked to a single potential customer. He did not want feedback and did not welcome it. It was very surprising to me that even though there were best practices on how to do product market fit and why market research was important, there are many startups who choose to build businesses their way. 3 Reasons Why Every SaaS Startup Need to be Consultants! As a super busy startup in today’s world, it seems impossible to be doing anything extra. Today, we want to tell you why that extra added service will go miles for your new SaaS (Software as a Service) business. Customer-centric companies win. Getting there, however, requires getting to know customers so well that there’s not only understanding of what they do, but why they do it. This is the mentality that Founder of Apple, Steve Jobs, always understood. An excellent way to do it is to simply ask. Work with them on the solutions directly. Help your target market to achieve their goals so you can benefit from key takeaways to that will benefit your technological solutions. Find out what not only what the solution should be but how customers want to use it and any other extra features that would make it more valuable. When startups are close with the customers, that relationship will act as an insightful competitive advantage. (This rings true if the target market for your SaaS is the same as your consultant clients.) For us for example, it would startups who are first time business owners looking for their first round of funding (Pre-Seed — Series A). If you are very specific with your target, the more you will benefit in the long run. Get some revenue coming in from the side hustle. Depending on how much you charged, your startup can still reinvest that money into things such as Facebook or Instagram ads like we did. If your consultancy packages enough for you to invest in automation softwares or salaries, even better! This would also be play a helpful hand when you are applying for government grants where they require you to show some form of revenue. To utilize the customer feedback and questions to build your brand will show community engagement as well as branding your company as an expert in this industry. It is always hard for startups with no money to build a brand so utilizing as much content in a consistent format as possible is a big step in the right direction. For example, VenturX, has free monthly Health Checks for subscriber users. This takes place on Skype. Because I have a close friend who is a startup on our platform, I asked if our Health Checks can be recorded. This recording would show her asking questions about our VenturX metrics, why these metrics are important to investors and what other considerations she needs to think about before submitting to investors. She agreed it was a good idea. So starting March 4th at 8PM EST, we will have our first Health Check session. This is ideal for branding because her questions may be the same as others in our target market when it comes to investing and it gives a sneak preview of what to expect as a VenturX user. If you want to catch the video, please follow us on Facebook, Twitter, Instagram, and Youtube. In addition, we will be writing a Medium blog and Youtube debrief on how the first session went. We expect there to be at least 2 sessions so you would be able to see a typical startup user’s improvements and added value. 2. You will need a consultancy package to send to potential clients so the understand what your field of expertise is and the price. b) Freelance Service Sites: Fiverr, Upwork, and Guru. d) If you have a newsletter, make sure your audience is aware. The main thing startups should beware of is contributing too much too little time. If your SaaS company is your main operation, be sure to devote the necessary care and time to it. 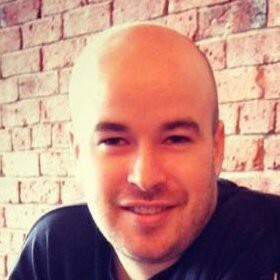 When startups do not have the history of clients and built up a reputation yet, a lot of clients may have a lot of questions in order to feel more trusting and secure about taking that next step with you. This could take a lot of time to “nurture” new leads. From our experience, we help answer some of those questions on our website and our latest blog post to explain the pros and cons of hiring startup consultants here! Should First Time Entrepreneurs Pay for a Startup Consultant or Not? As our business who mainly targets startups, we devote a lot of time keeping our ears to the ground and finding interesting startup problems, solutions, and ideas to explore. Here is a post that inspired this post. It was from a popular Facebook group. “I started my business with $100 and a hunger to create freedom in my life. At the time I couldn’t afford coaching or programs and guess what? I did market research by talking to people (that costs me nothing). I then created a membership program (in the B2C space) on WordPress (had to learn how to use WordPress) — that costed me the $100 of Siteground hosting and nothing else. I had a Facebook group I was running the community in. That cost me nothing. I then went on and started doing live videos and promote my membership (costed me nothing). I sold 60 memberships, that replaced my banking job. So I quit. I then with the money I made bought a new MacBook so I can work faster. 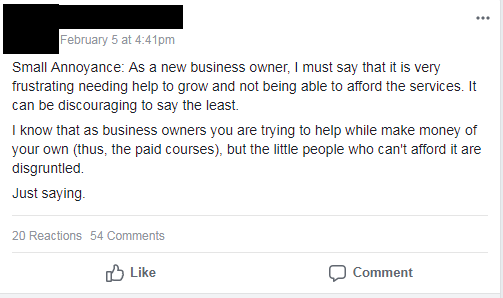 I then sold more memberships and more memberships and here I was making $5000 a month. And that’s when I decided to invest $2000 in the 90 Day Year. This year (1.5 years later) I am on track to have a 7 figure year by the end of 2018. You see… all these programs you see.. you don’t have to buy them. Also.. the people that sell them.. they don’t need to change their pricing to accommodate “people who can’t afford it”. Coaching IS NOT a right. Programs and courses are NOT a right. 2) don’t make money and don’t buy it. I don’t understand what the issue is. There were also other comments from the post explaining how startups who are new to the world of entrepreneurship have reservations about investing because of these following reasons. This famous saying rings true in entrepreneurship. This boils down to whether this million dollar idea is worth the risk you are taking or not. For most first startups who come to our team and ask for investment money, it tends to stop right here and they will tend to go back to their full time jobs or take our advice to ponder about whether or not they go forward for another 4–6 months. Since we run a startup platform, VenturX, that helps prepare and connect early stage startups for investments, we have the opportunity to see with our own eyes what success and failures within startups look like everyday. Even though they come from diverse backgrounds, the checklist of startups we can accept in order to maintain a high level of successful launches and investments are still the same. We can quickly tell a) if they are in our target market and b) what their next step would be in order to best be prepare for big investors like ours. From working with over 300 startups and hearing their stories of successes and failures, there are only so many things you can invest into your business if you don’t have the luxury of quality. Quality stems from knowledge and experience. Every investor who has been an entrepreneur in a previous life always talks about getting your hands dirty. 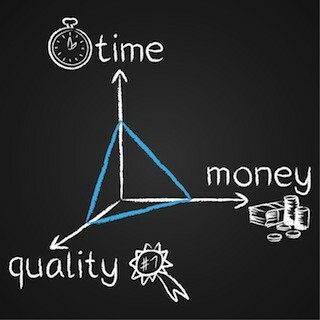 That is where your “je ne sais quoi” value comes from and therefore enhancing your overall “quality.” If it is your first time, you really only have the options of investing your time (known as sweat equity) or your money (known as hiring people or purchasing resources). Even though we have a platform where potential clients can already see there are startups using our platform and getting investment, they have valid questions before signing up or hiring our consultation services. Their questions are ones that all startups should consider when investing any amount of money into their business. What is your field of expertise? Why should I choose you? Answer: Helping prepare you for your first big round of funding and helping get to you launch with business intelligence. From working in the startup industry, we get to see the ingredients of success and failures on a daily basis that we use to benefit our consultation clients so they don’t have to suffer with their time and money in the long run. 2. 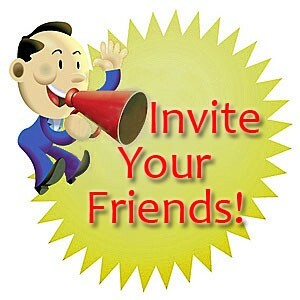 Do you have referrals from other startups? Answer: Yes — some are on our website: www.venturx.ca and others can be sent to you privately. We strongly recommend our best practices such as developing good positive relationships with clients in order to collect those success stories! 3. How does the consultation services work? Answer: You can purchase specific packages such as “Review my investor’s pitch deck” or purchase a set of 5 or 20 hours of consultation. 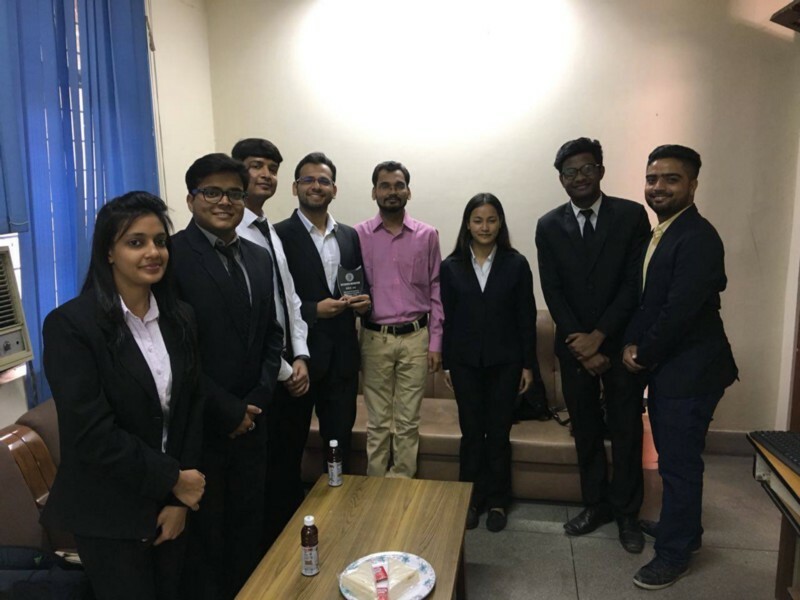 We meet on a call to help you with specific goals and come up with a structured plan of implementation and we make sure this plan is executed in the best manner possible. 4. Do you connect us with contacts? Yes! As an added bonuses are connections and contacts when applicable. We know that not all consultants, coaches or mentors do that; however, it is part of our practice. There are some that are exclusive to only VenturX platform users. 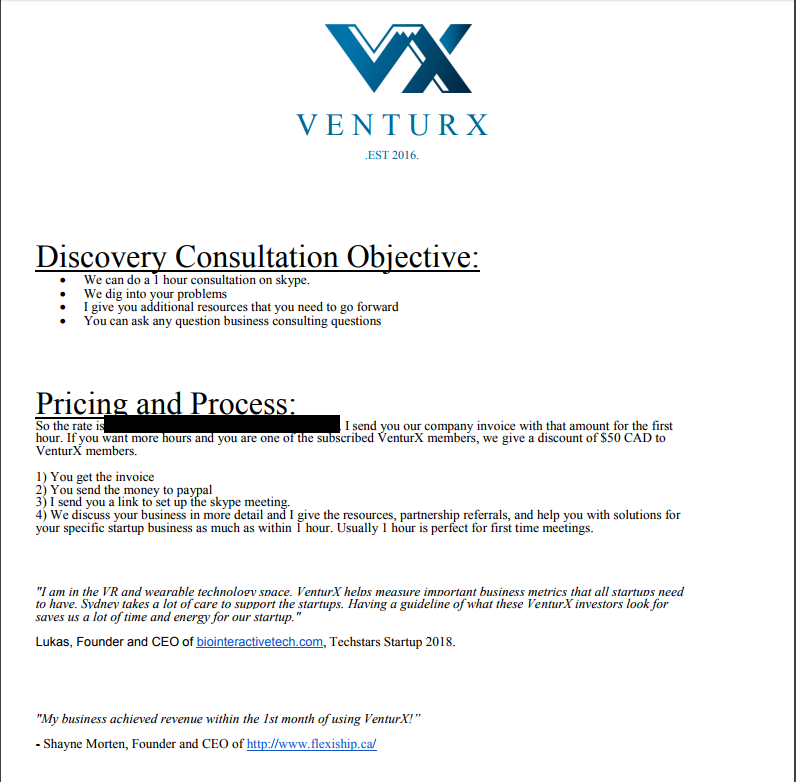 Answer: Discounts are available to all VenturX platform users or those who purchased larger set of consultation hours (ie. over 20 hours). There you have it! The reasons why first time entrepreneurs opt to hire or not hire help. We hope this article helps you make informed decisions that can help your startup in the future years to come! For more startup tips, check out our other blogs! 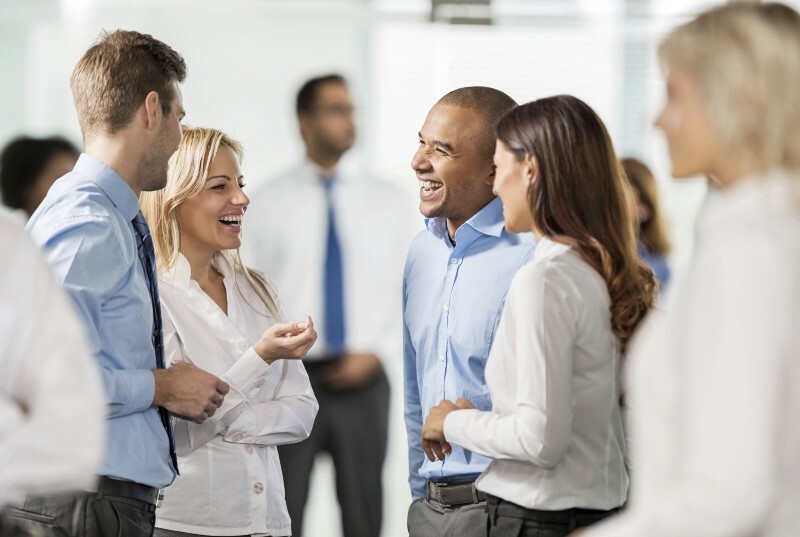 Do Networking Events Contribute to Your Business Goals? People always say that a plan without a goal is just a dream. Networking events should be part of your overall plan to ensure you get the most out of your valuable time. If there is no connection between your strategy and your actions, there is a problem. During my first year of business, I personally wasted a lot of time going to startup networking events because I thought I had to. It could easily become a norm or hype to go without reflecting on how it was affecting your overall business strategy. Some people go just to be seen; some stay for 20 mins to take a picture for social media. That could be their overall goal but at least it means they are aware of their goals and understand how networking events fit into those. Goals should be tied to the different tactics of your business. Each thing that requires any piece of your precious 24 hours in a given day should have a goal. Without goals, we have no purpose and no way of measuring the success of our actions. For each networking event, have a goal. As long as we know why we are going and what we are hoping to expect from the opportunity, our business strategy will look more and more clear every day. Stayed tuned for our upcoming startup event on February 15th at 6PM EST by checking out our Twitter, Facebook, and Instagram LIVE! 3 Erreurs commises par les Startups: Sur quoi se concentrent les jeunes startups à part leurs Métriques? Les startups en phase de démarrage ont énormément de choses à faire. Au fil de leur progression, leurs jours semblent de plus en plus courts. J’ai trouvé que beaucoup d’entre elles consacraient beaucoup de temps dans des choses à moyen et long terme plutôt que de se concentrer sur le présent. Lorsque je leur demande quelles sont les métriques sur lesquelles elles se concentrent, ce qui est important pour elles, etc… la variété de réponses obtenues est surprenante. Cet article passe en revue les 3 erreurs les plus commises par les startups et explique comment un recentrage sur ses métriques remet les choses en perspective. Gardez à l’esprit que nous nous concentrons sur les startups en phase de démarrage et qui viennent seulement de créer leur entreprise. Les gens vous recommanderont toujours de lire ce dernier livre sur les startups ou bien les dernières tactiques de marketing pour atteindre des sommets. Ce n’est pas pour vous décourager d’apprendre mais l’expérience de vos actions déterminera davantage ce que vous aurez appris que vos lectures. La stratégie marketing de quelqu’un d’autre, les canaux de distribution et la négociation commerciale ne sont peut-être pas adaptés à vous. Puisque chaque entreprise est si unique, vous ne saurez jamais quelles sont les meilleures pratiques à moins que vous sortiez et expérimentiez votre activité. POINT D’ACTION: Réservez-vous un ou deux jours dédiés à la lecture, la recherche, etc. Et consacrez les autres jours à la mise en pratique. (Je peux vous dire, par expérience, que si vous lisez un livre sur les startups, vous n’avez pas besoin de le terminer pour vous entraîner). J’aime personnellement m’informer sur le marketing des réseaux sociaux car c’est un complément à ma formation de marketing en ligne. Je consacre généralement mon Samedi à apprendre de nouvelles choses. Pour atteindre mon public cible composé de startups, j’essaye tous les réseaux sociaux afin de voir où ma clientèle cible est la plus active et engagée. Je réalise des vidéos éducatives, des retransmissions en direct et des blogs sur Youtube, Facebook, LinkedIn, Instagram, Twitter et Medium. Je cherche quotidiennement les canaux de communication qui fonctionnent les mieux afin de décider quels seront mes futurs investissements en marketing. Les fondateurs sont tiraillés dans tous les sens à cause des nombreuses sources d’influence qui les entourent, que ça soit l’effervescence des évènements de startups, des retours d’amis ou de la famille, des recommandations de partenariats potentiels ou encore des « tu sais à qui tu devrais parler? ». Je suis sur que vous avez des exemples en tête! Il est peu judicieux de concentrer son énergie sur des partenariats à moyen et long terme, plutôt que de se concentrer sur le prochain essai ou projet pilote. Exemple: N’attendez pas pour embaucher la personne parfaite qui vous aidera à mettre en place votre projet pilote ou votre test bêta plutôt que de le faire vous-même. Je l’admets, je suis parfois tombé dans le piège mais une chose m’a encouragée à me concentrer sur les partenariats à établir maintenant, les recommandations à suivre ou bien où allouer mes précieuses 24 heures, l’analyse de mes métriques en temps-réel! (Voir diagramme ci-dessous). POINT D’ACTION: Marquez vos futures tâches sur une durée de 1 à 3 mois. Si vous pouvez rapidement identifier les missions ou les partenariats possibles à exécuter en un mois, alors inscrivez-les dans votre calendrier sur un délai d’un mois à compter d’aujourd’hui. Vous n’avez pas besoin de tout faire d’un coup et être dépassé par la quantité de choses à faire. Quand tout cela commence à s’empiler, un tas d’opportunités peut facilement devenir un tas de distractions. Une chose pratique à faire est de trouver un rythme. S’il y a une nouvelle ressource ou un nouveau canal à explorer, mettez-le de côté jusqu’à ce que vous ayez complété ce qui est important pour le moment comme faire de votre premier projet pilote un succès! Comment les startups peuvent avoir ce remède si leurs clients ne sont pas le centre de leur attention? a) Découverte Client: Certains entrepreneurs en phase de démarrage connaissent des cycles de procrastination avant de faire quelconque étude de marché ou enquête sur leur Product Market Fit. (Il va vous guider à travers les différentes étapes avec des exemples concrets). Si vous voulez un modèle de questionnaire, envoyez-moi un courriel, et je vous en enverrai un! En tant qu’être humain, nous faisons ce que nous voulons faire et non pas ce que nous devrions faire. Si c’est plus simple pour certains de travailler sur la création d’un beau site internet plutôt que de récolter des retours clients, vous pouvez être sur qu’ils concentreront leurs efforts dans l’option #1. POINT D’ACTION: Planifiez des rendez-vous avec vos clients pour avoir leurs retours de façon régulière. Essayez de les programmer en avance. Même si vous avez de nouvelles distractions telles que des évènements de startups, embaucher des nouveaux membres dans votre équipe, etc. ces rencontres régulières vont vous assurer de rester au contact de vos clients et montrer que vous ne les évitez pas. Afin d’avoir des retours pour le lancement du produit VenturX, je programme des appels Skype toutes les 3 semaines avec des amis en startup pour leur montrer la refonte du site et avoir leurs retours. Je contacte aussi une startup, tous les après-midis entre 14H et 16H, pour lui parler de ses Métriques VenturX. Il m’a dit qu’il préférait les notifications SMS. Pour lui montrer ma gratitude, je lui envoie ces rapports individuels journaliers depuis mon téléphone. Sur quelles Métriques devrais-je me concentrer? Avez-vous découvert dans quelle phase vous vous positionnez? Pouvez-vous déterminer quelle métrique est la plus importante? Maintenant vous pouvez inverser la formule pour vous débarrasser de ces 3 erreurs commises par les startups en phase de démarrage! Gardez en tête que même si ces informations proviennent principalement de nos observations de startups en phase de démarrage et de jeunes entrepreneurs, de nouvelles informations sont amenées à venir! Il pourrait y avoir plus qu’une métrique que vous allez pointer du doigt comme un faible Product Market Fit ou des finances trop basses. En tant que chercheuse dans le monde des startups, je souhaitais vous partager mes observations sur cette industrie fascinante. J’espère qu’avec ce simple guide, les débuts de votre entreprise seront sans heurt! 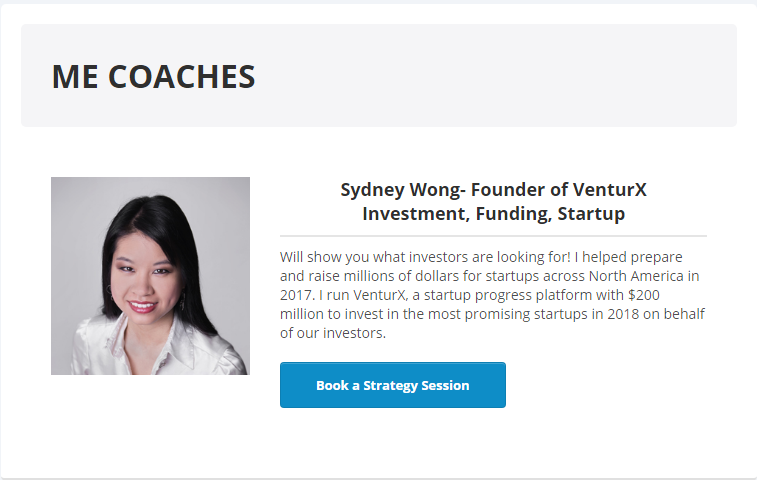 Si vous avez des questions concernant vos métriques, envoyez-moi un courriel à l’adresse sydney.wong@venturx.ca et nous jetterons un coup d’œil ensemble! Parmi les notions à la mode dans le monde de l’entreprenariat; venture capital, accélération, growth hacking, etc. il y en a toujours une qui laisse les entrepreneurs perplexes, le PRODUCT MARKET FIT! J’ai trouvé ce sujet si intéressant, que depuis 2016, j’en étudie tous les aspects afin de mettre au point un outil capable de le mesurer pour les startups. Voilà comment VenturX a vu le jour, une startup exploitant les données dans le but d’aider les entreprises, en phase de démarrage, à passer du Product Market Fit au financement. Nous nous concentrons sur les indicateurs-clés de performance (ICP) essentiels pour les jeunes entreprises, comme le Product Market Fit. Chez VenturX, nous offrons les outils qui permettent aux jeunes entrepreneurs de réussir; nous leur recommandons toujours de commencer par déterminer leur Product Market Fit. C’est non seulement une des principales raisons d’échec chez les startups (selon un rapport de CBInsights), mais aussi la plus compliquée à atteindre en raison du travail colossale que peut représenter la collecte de données afin de prouver que son idée répond à un réel besoin. Cependant, l’évaluation initiale de son Product Market Fit ne nécessite pas forcément beaucoup de temps ou d’argent. Nous allons vous détailler quatre étapes essentielles à suivre pour avoir une vision claire de l’adéquation entre votre idée et son marché. 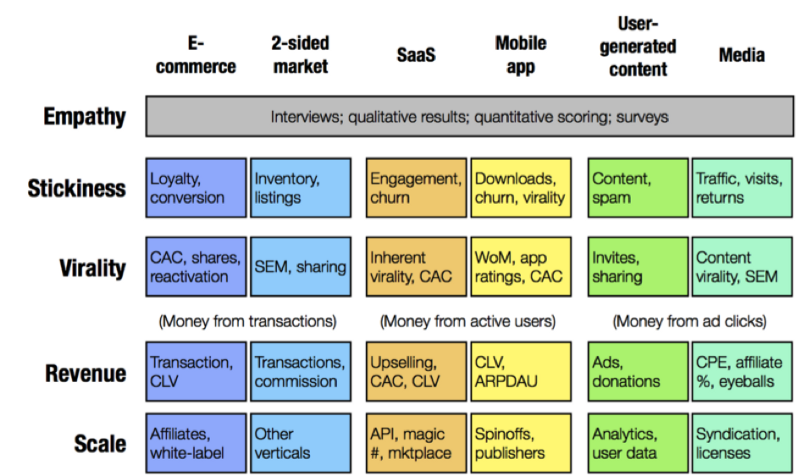 Que signifie le Product Market Fit? Si vous ne savez pas par où commencer, demandez-vous: à qui est-ce que vous vendez? Qui a besoin de votre produit/service ? Après avoir rencontré de nombreux entrepreneurs cette année, j’ai appris que le plus difficile était d’interroger les 5 premiers clients. Pour l’accomplir en 24 heures, pourquoi pas trouver un évènement ou un lieu où se trouve cette clientèle cible? Mais rappelez-vous, vous n’êtes pas ici pour lui vendre quelque chose mais simplement mener votre enquête. Exemple: Concernant VenturX, une partie des clients ciblés sont les investisseurs en capital-risque. Il me semblait évident que ces investisseurs seraient présents à des compétitions de startups où ils servent généralement de juges. Je savais que participer à un tel évènement serait l’occasion idéale pour collecter un maximum de données en 24 heures. Astuce: Tout le monde n’aime pas parler à des inconnus, alors pourquoi pas le faire avec un ami qui adore ça! Si vous êtes à Montréal, envoyez moi un message ou laissez un commentaire et je m’occupe de vos 5 premiers répondants! J’ai interrogé beaucoup de startups sur leur manière de chercher leur Product Market Fit et ont toutes répondu qu’elles intégraient leurs informations dans un fichier qui ne sera plus jamais réutilisé. Le problème est qu’elles ne collectent principalement que des données qualitatives et ne savent donc pas comment les comparer. Le recours à des données quantitatives leur permettrait de mieux cerner le niveau de difficultés et d’avantages du marché ciblé. La solution? Au lieu de poser des questions ouvertes comme « Que pensez-vous de cette idée? », faites en sorte que votre répondant décrive les difficultés et avantages de votre idée en les notant sur une échelle numérique. Voici un exemple de ce à quoi devrait ressembler votre questionnaire. 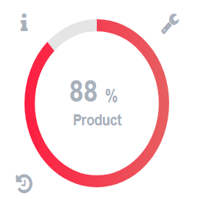 Si vous souhaitez bénéficier d’une copie de ce questionnaire, envoyez moi un courriel à l’adresse sydney.wong@venturx.ca avec comme objet intitulé « Product Market Fit Survey » et je vous l’envoie! Exemple de Difficulté: Les startups qui ne sont pas prêtes pour un financement font perdre beaucoup de temps aux investisseurs entre les présentations initiales et les due diligences. Les investisseurs finissent généralement par expliquer aux startups qui ont atteint leur Product Market Fit de rester en contact car ce n’est pas le bon moment ou bien de les contacter ultérieurement. Exemple d’Avantage: Et si vous aviez une solution vous permettant de remplacer votre processus actuel d’inscription aux financements et simplifier vos due diligences? Vous verriez les meilleures startups ayant atteint leur niveau de Product Market Fit avec des notes plus élevées que leur industrie de référence. Astuce: Toujours poser la question des difficultés avant celle des avantages. Si vous ne faites que parler de votre solution, il ne s’agit plus de recherche mais d’une présentation commerciale! Astuce: Si vous n’êtes pas certain de votre affirmation concernant les difficultés et les avantages et que vous avez peu de temps, simplifiez-vous la tâche en recensant au moins deux affirmations de difficultés et avantages afin de comparer leurs réponses. Pour le moment, la plupart des startups ont tendance à suivre et enregistrer manuellement leurs réponses sur un fichier. L’avantage de cet outil est qu’il est familier, facile d’utilisation et vous permet de créer manuellement des graphiques à présenter à votre équipe, à partir de vos données. L’autre option, c’est d’utiliser notre outil conçu pour les startups. VenturX va vous permettre d’enregistrer les données de vos questionnaires et de calculer automatiquement votre Product Market Fit Score. Cela ne prend alors que 30 secondes pour avoir votre score comme dans l’exemple ci-dessous ! Essayez vous-même sur www.venturx.ca. Voyez l’exemple de ma note lorsque j’ai interrogé les investisseurs spécialisés dans les entreprises en démarrage sur leurs Difficultés et Avantages. Astuce: Ne surtout pas laisser votre clientèle cible voir les réponses des autres, cela pourrait influencer leur jugement. C’est tout à fait normal de ne pas avoir beaucoup de 9 ou de 10 lors de votre première enquête, il faut simplement rester cohérent. Ne commencez pas à modifier votre affirmation de difficultés et avantages après seulement quelques réponses. Vous saurez si vous êtes sur le bon chemin lorsque vous aurez constamment de bonnes notes (9 et 10) dans vos enquêtes. Exemple: J’ai dû affiner mon marché cible aux investisseurs de capital-risque spécialisés dans les startups en démarrage plutôt que de m’adresser à tous les investisseurs. Si je souhaite enrichir mon offre avec davantage de caractéristiques, je vais devoir recommencer ce processus avec une nouvelle enquête sur mon Product Market Fit pour une nouvelle clientèle! Une fois ces étapes complétées, prenez du recul et analysez vos résultats. Que vos notes soient élevées ou basses, vous avez tout de même accompli quelque chose. Vous avez désormais une note quantifiée vous permettant soit de valider votre idée, soit de tenter un nouveau marché cible ou bien d’ajuster votre angle d’attaque. Quoi qu’il en soit, restez fort, motivé, persistant et continuez à quantifier! Voilà! Vous avez désormais les étapes nécessaires pour déterminer rapidement et efficacement votre Product Market Fit en disposant réellement d’une analyse sur ce que recherche votre marché. Le Product Market Fit est un des ICP sur lequel VenturX aide les startups à progresser en temps réel. Pour plus d’information sur ce sujet ou bien d’autres ICP, visitez notre site www.venturx.ca. The journey of how a solo tech founder, Arvind, cracked sales and grew his client base at Infosec Future. India is world’s fastest growing startup ecosystem where 3–4 new firms are born every day. We have grown significantly in the past five years and are expected to grow 10–12% YOY for the next five years till 2020. This boom has also led to the evolution of many service-based companies catering to the requirements of the startups. It has become very difficult for a company to differentiate and standout in this highly competitive marketplace. This is the second interview of the series “PushInterview: Interviews that helps you Pushstart” powered by Pushstart. Check out our first interview “How I built one of the most active startup community of India” if you missed it out. My name is Dr. Arvind K. Singh, and I am an information security researcher, speaker, and consultant. I did masters in Computer Science from IIT-Patna and pursued Ph.D. in Information Assurance and Security from Colorado Technical University-USA. From the past 3 months, I have been working on building Infosec Future Pvt Ltd — a company providing complete cybersecurity services specifically designed for startups and SMEs. Since our launch in August 2017, we’ve grown our client base from zero to thirty. 2. What’s the deal with Infosec Future? Well, the deal is in its name. The most valuable asset at present is “Information”. It is the information, which holds our future. Information stored in digital form, is accessible from anywhere in this world just by the click of a button. It is its security which matters the most to secure our future. We, at Infosec Future, are trying to secure the future of our society, by securing information. Our services include annual security audits, penetration testing, threat modeling, readiness awareness, application testing, software development life cycle security integration, security code review, and more. 3. What motivated you to start Infosec Future? When I came back to India in March 2017, I was astonished by the scale at which data and processes were getting digitized. Digital India, a mission started in the year 2015, had turned into a revolution. But no one was aware of the threat it possessed. The threat to information security. A few months back, Aadhar card (unique and universal identity card for the citizens of India) data was hacked by a person in less than 6 hours. Our whole economy can be shutdown, just at the click of a button, from practically anywhere in this world. Lack of awareness and resources. The high cost of security. Being an entrepreneur myself, (I started a company called CyberInjection in the USA in Nov-2014, which was later acquired by Federal Government in mid-2016), I knew that startups are always tight on their budget. With this domain being untouched by the leaders in cyber security, I saw an opportunity here to provide affordable cyber security. And this is how, the journey of Infosec Future Began. 4. What all went into building the MVP? What challenges are they facing in terms of information security? How are they handling it currently? I would tell them about my idea and offer my experience and expertise. I personally went to 13 meet-ups, in 7 cities, and met hundreds of Entrepreneurs. Almost one-tenth of the entrepreneurs I met, had already faced attacks or have been a victim of hacking in the past. Half of them were completely aware of the risk but couldn’t proceed due to the high cost. While rest of them were not even aware. After processing the insights and doing my homework, it was time to validate my idea. 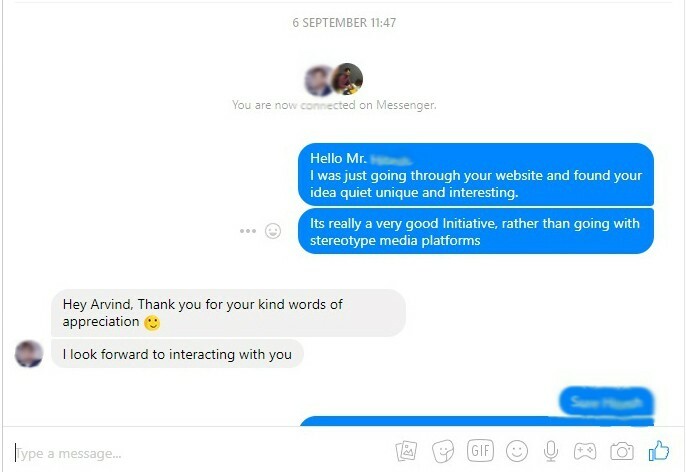 So, I reached out to people, on LinkedIn and Facebook (I personally don’t use any other Social media platform except these two), and introduced them to my idea. 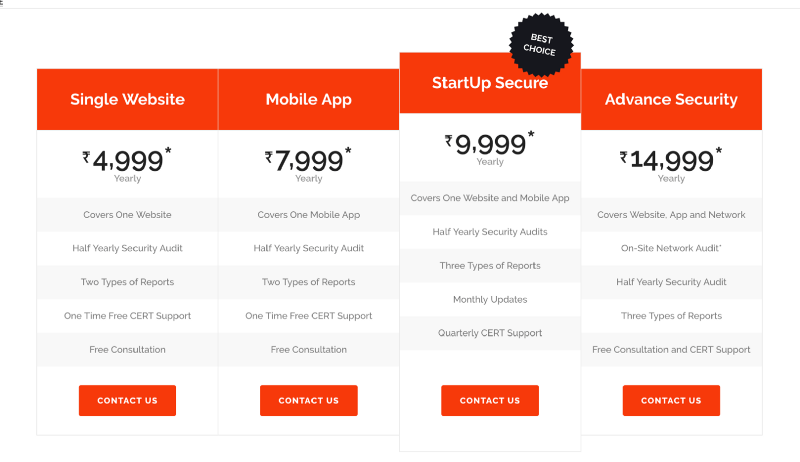 As I knew that startups are always tight on their budget and security is an ongoing process, I kept the offering to be low-cost subscription based. I got such an overwhelming response from the community that I instantly registered Infosec Future. Getting Startup India recognition within 72 hours of registration further bolstered my belief. This was when, I realized that we have built our MVP, and it was time to go live, go practical, and go after securing the startup ecosystem. 5. How did you get your initial clients and how did it grow? I am a complete techie and I had no idea about sales and marketing when I was starting out. So, I took the most logical step of feeding on social channels to get the initial clients. There are tons of startup communities out there on Facebook. Become part of them and connect with your target audience. I would start the conversation by talking about their startup and giving ample amount of time to express themselves. And then, it was always the other person who would ask about me and my startup. Since I had patiently listened to their idea, they would happily give me time, and thus, none of my conversations went into vain. We either ended up signing a MoU or becoming friends. Either way, my network was increasing day by day. I got the first few clients even when I didn’t have a proper website. In September, when we started our operations as a team, this cold-reach out helped us get 10 clients in the very first month. By mid-October, we had on-boarded 20 clients. The thing which has helped us grow rapidly is our unconventional approach of starting a two-way interaction and genuine conversations rather than up-selling. Start the conversation by talking about their idea. Listen to them patiently and provide your valuable feedback. Tell them what you like about their initiative. Try to figure out the core problems that they are facing currently. Never sell directly, rather try educating them about the depth of the problem. And then offer your experience and expertise as the solution. 6. What is your business model and how have you grown your revenue? Our business model is similar to any other company catering in the service industry which is to deliver satisfactory services to the client in return for a monthly or annual fee. We provide an annual subscription for our security packages targeting different segments in various industries. Our package starts with securing a single website to a whole network of websites, which grants us the opportunity to work with a startup throughout their growth journey. Growth in revenue till now has been largely dependent upon the growth in our client base. 7. What are your future goals and how do you plan to achieve them? Our long-term goal is to secure data of every startup and SME of India and capture 50% of the market share in the next 5 years. The immediate short-term goal is to secure data of 2000 Indian startups and SMEs by the end of 2018. We have opted for balanced outbound and inbound strategy with upfront value to the market by quality content and free reports to achieve this. Further on the product front, we are in the process of automating the complete process of the security audit, job allocation to teams, and report generation for various tests. Currently, this is in its prototype stage and will hopefully launch in the first quarter of 2018. We are also building a free security audit tool, which will be embedded on our website, so that people can check the basic security details of their website, without even interacting with us. This will help us in capturing precise leads at scale. Growing average revenue per client is also one of our major goals. Therefore, to grow retention for Infosec Future, we have laid down a separate client servicing strategy which even includes remembering our clients’ birthday and we soon will be hiring relationship managers for the same. 8. The biggest challenges you have faced till now and how did you cope with them? 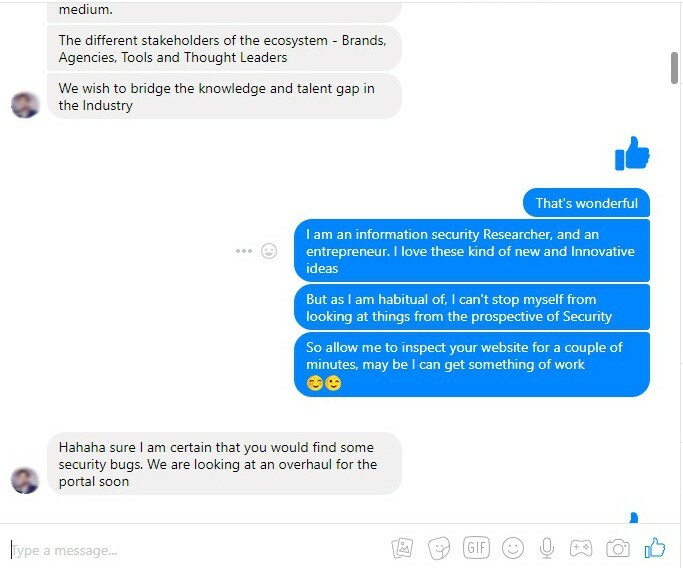 The first challenge I faced was to get a decent website developed for Infosec Future. I worked with two freelancers and an agency for three months, but nothing really kicked-off. I was not at all satisfied with their work. In the end, I decided to work on my website. I designed a good looking website in just 2 days with the help of WordPress. The biggest challenge I have faced till now is to onboard quality like-minded folks in my team. Sadly, the first three people I employed, left within the first month of joining. I coped with this challenge by hiring interns for every function of my company. My background and profile have helped me in hiring interns from some of the top Business Schools in India. You will be shocked to know that I am currently working with 27 interns and it is somehow working out for me. 9. What is your advice to Pushstarters starting out? Don’t go around hunting for clients, rather build a strong network of friends. Innovation is about “How you do things rather than What you do”. Being an entrepreneur, you are the biggest innovation. Believe in yourself, things will fall into place eventually. 10. How can we reach out to you? You can visit infosecfuture.com to learn more about us. Connect with guest blogger on LinkedIn, Facebook, Email or Skype if you want to geek out about startups. A customer referral is one of the best signs of success. It’s what fuels many entrepreneurs. Customer referral is a fancy way of saying “word of mouth.” It is the oldest form of marketing and it is still the most powerful. 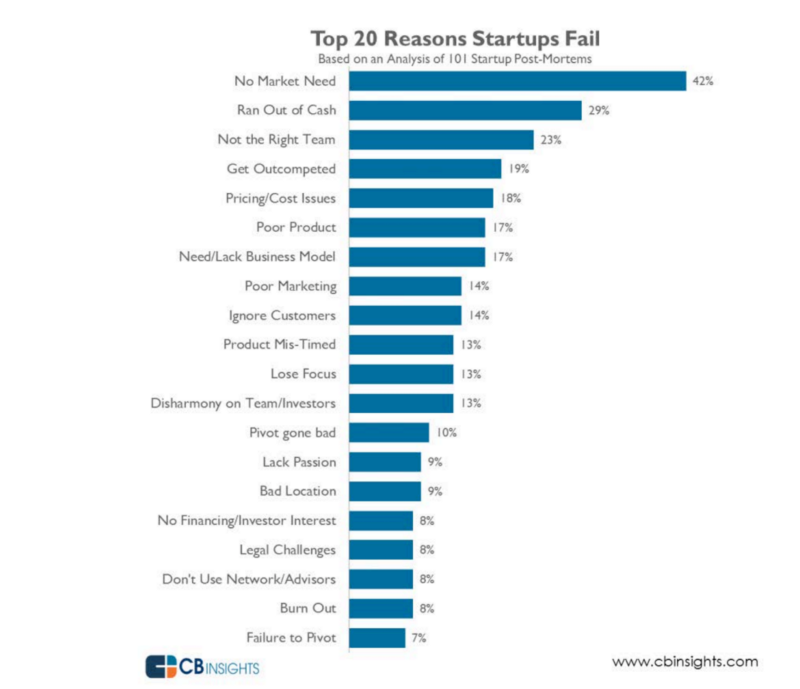 This why startups need to pay attention! Every good marketer understands that people have busy schedules and sometimes they just need a gentle reminder (or trigger) to give you that golden referral your business needs. Here are three easy and effective methods about when and how to ask for customer referrals. 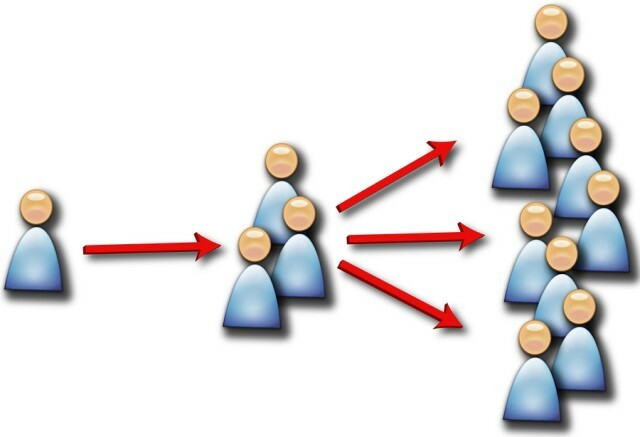 Even early stage startups can use the referrals they get from Day 1. After you survey about your target audience’s pain and benefit, see if they have other friends/colleagues that are in a similar. Remember to take every opportunity to expand your customer base early on! Take advantage of that rush or good feeling that the customer has after you have closed that deal/provided them value. For example, when our startup users went through our platform and closed their first Seed round with the help with of VenturX, we took that opportunity to get customer testimonial and ask for referrals. One founder said that his experience was easy and efficient for him so that is a good time to ask for recommendations. Beware, though: this is momentary. It will fade fast in today’s noisy world; also be watching for those opportunity moments. Timing is key. The less the effort and the better the incentive, the more effective this method would be. *Customer referrals are among the best things you can do for your business. At VenturX, we consider it a bonus factor in our “engagement metric” for startups; so the more referrals they get, the better their overall engagement becomes and the closer they are to entrepreneurial success. I had the great pleasure of spending time with Slickspaces in Vancouver. Both the team and the business illuminated as community business leaders of tomorrow. Founders, Michael and Mathew, came together to join forces on 1 mission: to revolutionize the guest services space in a unique way. Michael (CEO) sprouted as a serial entrepreneur since the age of 10. Learning key operations from his past businesses paved the way to success for Slickspaces from Day 1. 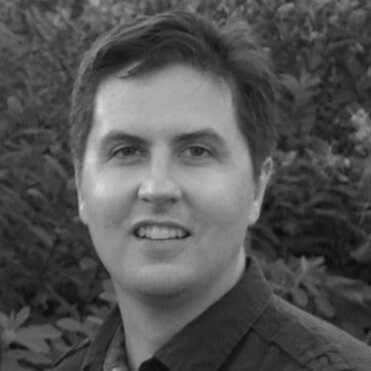 Mathew, Chief Technology Officer, leads the product and is equally strong in software and hardware. I had the opportunity to sit down with each of them to discuss their different takes on entrepreneurship today and what tips they would give others who are starting out. Go grab your coffee and check out their live interviews. SlickSpaces’ founders were both working towards a separate yet shared vision. 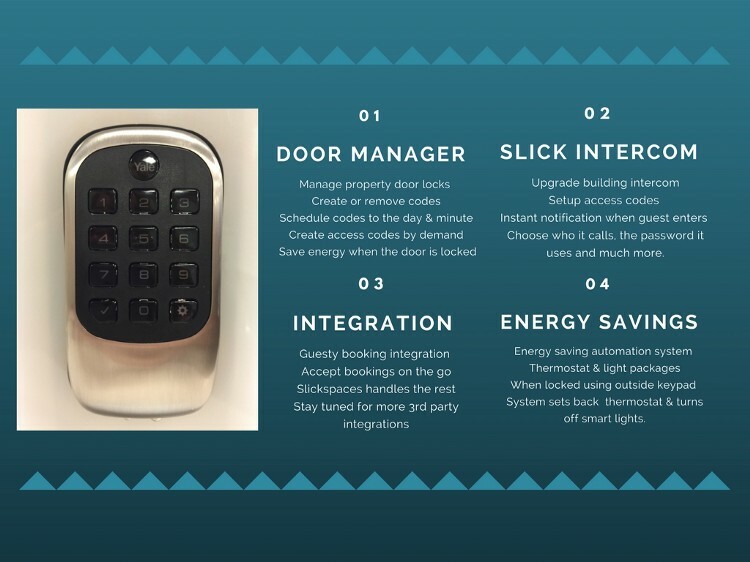 To make travel accommodations easier to get into (they hate lines and looking for keys) and more sustainable (they really hate wasting energy). With backgrounds in building sustainability and technology integration they’ve created something that fulfils both of their dreams. 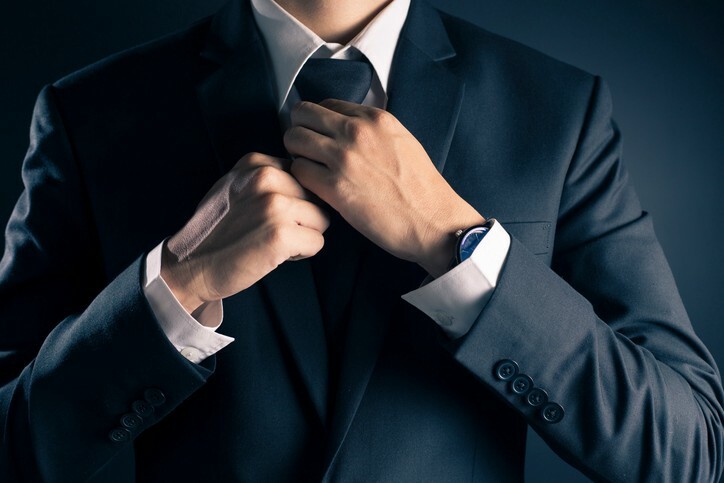 “Well positioned for success in the mushrooming short-term rental industry, Michael and his fellow founders have already distinguished Slickspaces by developing a paradigm-shifting solution to a critical challenge through their ability to listen to and follow his customer’s needs.” — David Dunnison, President & CEO at Global PVQ Canada, Harvard Business School. When I arrived at their Vancouver headquarter, I noticed they had the opportunity to be surrounded by other community supporters such as BC Tech. Slickspaces won this great office space in a previous competition. One thing that I noticed about Slickspaces is their growing team and many moving parts. Slickspaces deal with both hardware and software. Because I got to walk into such a dynamic environment, I did a series of insightful interviews with the Founders that can be found here! · Operational: Team meetings to discuss specific objectives such as contracts & upgrading to powerful accounting/CRM/etc.. software tools. · Product: Focus product direction on scalability and channel distribution for Slickspaces’ future. This was handled by the CTO. · Other: Meetings with mentors to review upcoming presentation, business analytics, and content. 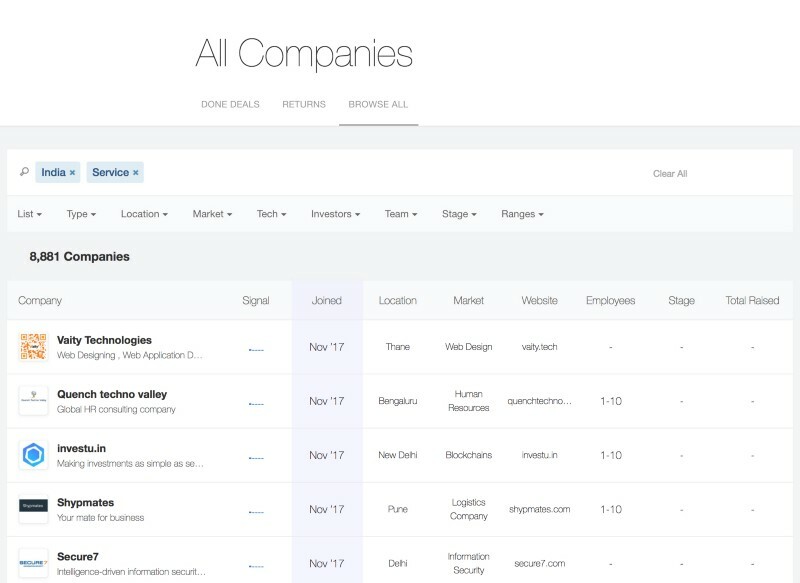 · Operational: Share feedback from individual meetings, discuss upcoming tasks for new hires. Bringing disruptive global innovation one community at a time has shone the spotlight onto Slickspaces. Slickspaces just entered the BC New Ventures competition 2017, a 13 week competition. Their beta is making impressive footprints within the short term rental industry across North America. If you are in property management, be sure to keep updated on their leaps of achievements via their social media: Twitter and Facebook. Their direct contacts are listed below. In conclusion, after spending time with this energetic team, it was clear that Canadian companies like this can achieve greatness by doing good.